A Sports and Remedial Massage Therapist, Emily trained at North London School of Sports Massage. 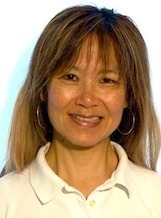 She has been working within this field of sports massage for the past seven years. Emily has also been working in clinic and sports locations, while providing massage therapy for athletes, office workers and all other professions through different age ranges. Emily tailors massage therapy to help maintain your health needs, pinpointing what is causing your symptoms. The focus of the treatments is to aid in pain relief and injury prevention. Natasha is currently a student at the London School of Osteopathy, where she is expected to complete her Osteopathy Masters degree in summer of 2020 (she is half-way through the 4 year degree). For over 20 years Natasha has worked in the IT field, namely travel and financial services industries, where she was responsible for a team of software developers, testers and business analysts. Therefore, she is aware of the stresses of modern day life, with its largely sedentary lifestyles and the aches and pains this may create and is looking forward to helping individual manage and overcome these stresses through massage. To get more hands-on experience and to further her exposure to the health and wellness industry, while studying Osteopathy, Natasha also qualified as a Level 3 Sports Massage therapist in the summer of 2017. She has also recently completed a course in pregnancy massage. Natasha hopes that through massage she can help individuals to ease tight muscles, enhance the circulation to the muscle tissue, reduce pain and potentially increase the range of movement within particular joints.